Professional homebirth advocates routinely trick their followers by preying on their gullibility and lack of basic knowledge of science, statistics and obstetrics. The fact that we have the second-worst infant mortality rate in the developed world is a statistic that I think people need to know about. …the United States has the most intense and widespread medical management of birth” in the world, and yet “ranks near the bottom among industrialized countries in … infant mortality. These statements imply that infant mortality is a measure of obstetric care, but it is not. It is a measure of pediatric care and therefore, it is the WRONG statistic to use when discussing maternity care. According to the World Health Organization, the best measure of obstetric care is perinatal mortality, usually defined as deaths from 28 weeks of pregnancy (stillbirths) through 28 days of life. And according to the World Health Organization, the United States has one of the lowest perinatal mortality rates in the world, lower than Denmark, the UK and the Netherlands. Professional homebirth advocates don’t want their followers to know the truth, so they deliberately use the wrong statistic to create a false and misleading impression of American obstetric care. 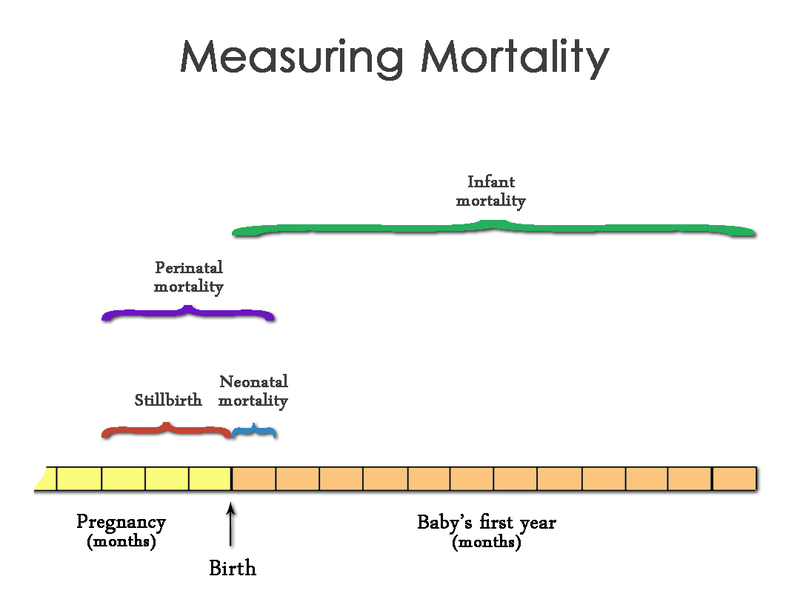 A graphical view of the various measurements of mortality that are commonly used in pregnancy and early childhood shows exactly how professional homebirth advocates misuse statistics. This illustration shows the last few months of pregnancy and the entire first year of a baby’s life. The first thing to notice is the tremendous difference between perinatal mortality (bounded by the purple bracket) and infant mortality (bounded by the green bracket). Indeed, there is barely any overlap, demonstrating that perinatal mortality and infant mortality measure very different things. The only thing common to both measures is death from birth to 28 days of life. That is known as neonatal mortality. It captures nearly all deaths in the aftermath of childbirth, but, and this is critically important no deaths during childbirth. Deaths during childbirth, which by any possible account is a critical reflection of obstetric care are recorded as stillbirths. So infant mortality is missing deaths during childbirth. In addition to leaving out this major component, it adds a tremendous amount of extraneous data in the form of deaths from 1 month of age to 1 year of age. These include deaths from Sudden Infant Death Syndrome (SIDS), childhood diseases and accidents, all irrelevant to the issue of obstetric care. That’s why infant mortality is an excellent measure of pediatric care, but a very poor measure of obstetric care. So infant mortality and perinatal mortality aren’t remotely interchangeable and it is deliberately deceptive to use infant mortality as a measure of obstetric care. What about neonatal mortality (bounded by the blue bracket)? Is that a good measure of obstetric care? It is definitely better than infant mortality because it doesn’t include tremendous amounts of extraneous information, and it is a useful proxy in countries that don’t collect data on perinatal deaths. However, it leaves out a lot of very important information. Neonatal mortality also does not include deaths during childbirth, arguably a very important measure of obstetric care. In addition, it leaves out late stillbirths. Late stillbirths are also an important measure of obstetric care since most of the interventions associated with late pregnancy and childbirth are designed specifically to prevent stillbirths. In addition, and this is an exceedingly important caveat, many countries, such as the Netherlands, have attempted to make their neonatal mortality statistics look better by deliberately and deceptively classifying very premature live babies as stillbirths even though they are not dead. That way, very premature babies are automatically removed from both the neonatal and the infant mortality statistics. This deception allows countries like the Netherlands to have infant mortality rates that are automatically and artificially lower than the real neonatal mortality rates. That’s yet another reason why a direct comparison of infant mortality rates between countries like the Netherlands and the US (which classifies all liveborn babies as alive, regardless of prematurity) are deceptive. Even the briefest glance at the illustration above makes it exceedingly clear that perinatal mortality and infant mortality are two very different measurements and are not in any way interchangeable. The fact that professional homebirth advocates like Ricki Lake, Ina May Gaskin and Jennifer Block imply that they are interchangeable tells us something very important about homebirth advocacy. 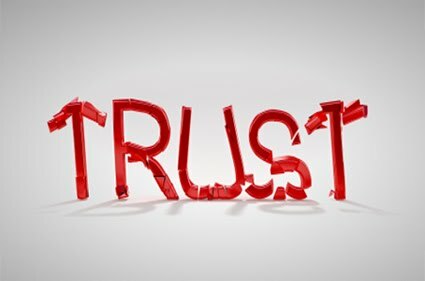 First, professional homebirth advocates do not hesitate to employ deliberate deception in order to impugn modern obstetrics. Second, professional homebirth advocates rely on the fact that their followers lack the most basic knowledge of statistics and therefore will not notice the deception. Finally, professional homebirth advocates demonstrate utter contempt for the truth. The truth is that American obstetrics provides high quality care as reflected in the fact that American perinatal mortality rates are among the lowest in the world. But the truth doesn’t sell homebirth videos, books and courses, so the truth must be hidden and misleading claims must be substituted. Homebirth advocates and women contemplating homebirth need to ask themselves a very important question: If professional homebirth advocates have such utter contempt for the truth that they deliberately use the wrong statistics, how can you believe anything they write or say?